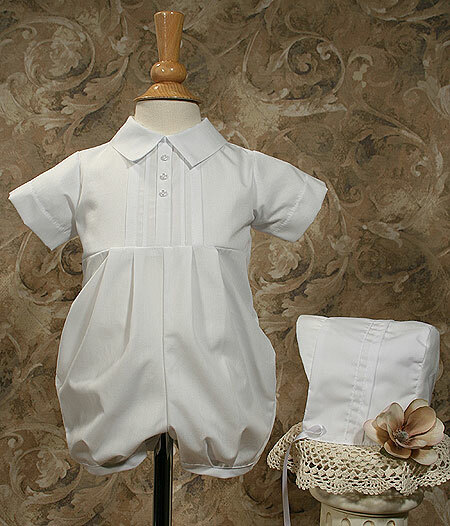 Clean-cut short sleeve romper with pintucking and faux front placket offers a classical look. Includes matching hat. 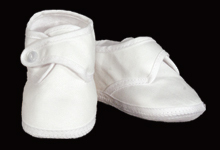 Handmade in U.S.A. Polycotton broad cloth. Machine wash. Shipped with plastic hanger and poly bag. Heirloom Preservation Bag recommended for long term storage.